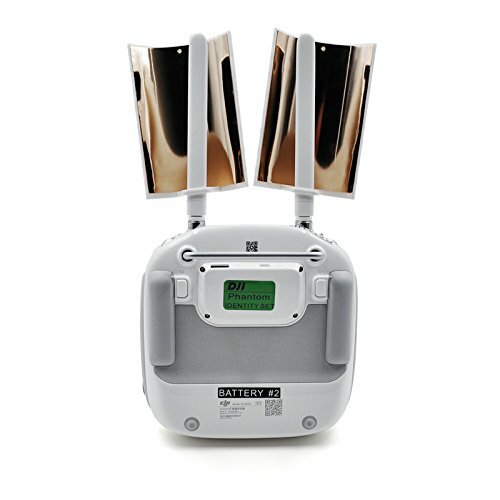 On this page, I will review the best DJI Phantom signal range boosters. With so many different types of boosters on the market, it can become really hard to choose the best one for your Phantom. This page will take a look at my top 5. Having a DJI Phantom is amazing. You can create stunning videos that capture and explore the environment around us from a completely new perspective. However, one of the big limitations the Phantom is that it has a limited signal range meaning you can only fly so far away from your transmitter. Luckily, you can significantly increase your signal range for the Phantom by simply adding one of the accessories seen below to your kit. Important: There are two main ways to increase your signal range. The first is to add an accessory to the controller, the second is to place a reflector onto the antenna. Both ways will boost your signal but we prefer the first. Now then. Let’s take a look at the top 5 best DJI Phantom signal range extenders. 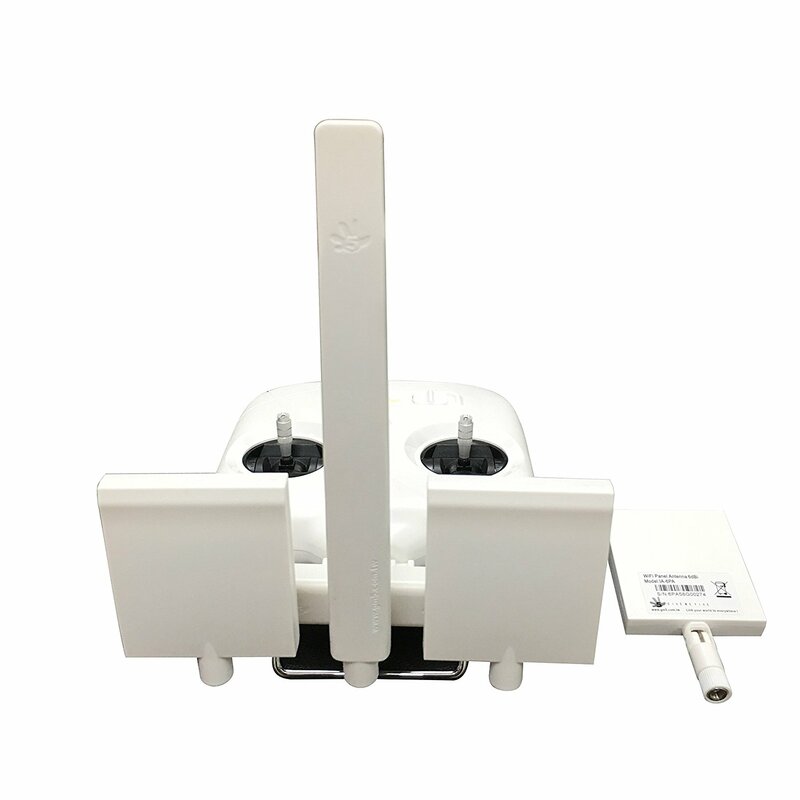 The BlueProton DJI Phantom WiFi signal range extender is DroneUplifts number one recommendation and is something that every DJI Phantom pilot should include in their flight bag. I own one of these and I use it every time I go flying with my DJI Phantom 3 Standard. It comes with 6 antennas and can increase your signal range by up to four times. Of course, the amount it increases your signal by is dependent on your environment (for example, lots of trees could obstruct the signal reducing your signal booster range.) However, I tested this out by carrying out a couple of identical flights – one with the antenna booster and one without. Both flights were at 330 feet high and had trees restricting the signal. The first flight (without the booster) gave me roughly 2250 feet and then it lost signal whilst the other flight (with the booster) lost signal at around 4800 feet. If I had been in a clean environment without any trees then I could have undoubtedly gone even further. In my opinion, this is the best purchase you can make for your drone. It is fast and easy to setup and will massively improve your flying experience. This antenna range booster is great. Unlike the option listed above, it doesn’t just work with one version of the Phantom, but actually, works with the DJI Phantom 4/P4 pro/Phantom 3 Pro/Advanced/4K Inspire 1. This signal range extender attaches to your controller. and reflects the remote signal to the antennas. I attached this to my Phantom on top of a hill. The Phantom reaches roughly 2800 meters and then I lose signal. However, after attaching Parabolic Antenna Range booster I was able to garner an extra 900m – reaching a grand total of 3700m. This product works and for just $17 it’s a real bargain. It is cheaper than the option above and doesn’t have such a vast range. However, it’s much cheaper and still works like a dream. The product is solidly built and was actually slightly heavier that I first thought. However, it is light enough so that the antennas on your transmitter will not droop. For 20 bucks, your going to be getting so much more out of your drone. Getting an antenna range booster should really be a no-brainer. 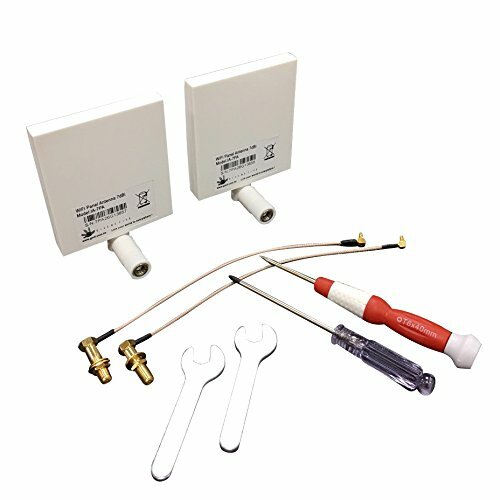 This is an excellent and reliable product that will successfully increase your Phantom signal range. It works on the DJI Phantom 4, Phantom 3 Advanced and Professional. Of course, much like the previous products, it will significantly increase your signal range. It is much lighter than the previous products yet it is still durable and practical. I got one of these to test for this review and it works very well. I was able to increase my altitude from 3100 (without the modification) feet to 74000 feet (with the modification.) This was in a forest and so there was lots of interference. It also increased my range to by around 3000m although in a clear area BlueProton says that it can increase your signal by up to 7.5km. This copper range signal booster is very cheap yet surprisingly good for how much it costs. Now, of course, since it is just 8 bucks, it will not be as good as the ones listed above. However, it will successfully increase your range by a few hundred feet. For example, I attached the parabolic range extenders to my controller and stood on top of a hill. I was able to fly my drone an extra 700 feet so long as the antennas pointed towards the drone. I did find that the signal ranged from being weak to being strong, but the fact that I managed to fly my drone so much further for just 8 dollars makes this range extender booster an absolute must for anyone who is on a tight budget. Of course, if you have a little more money to spend the defiantly get one of the boosters listed above. If not then this one will do you just fine. 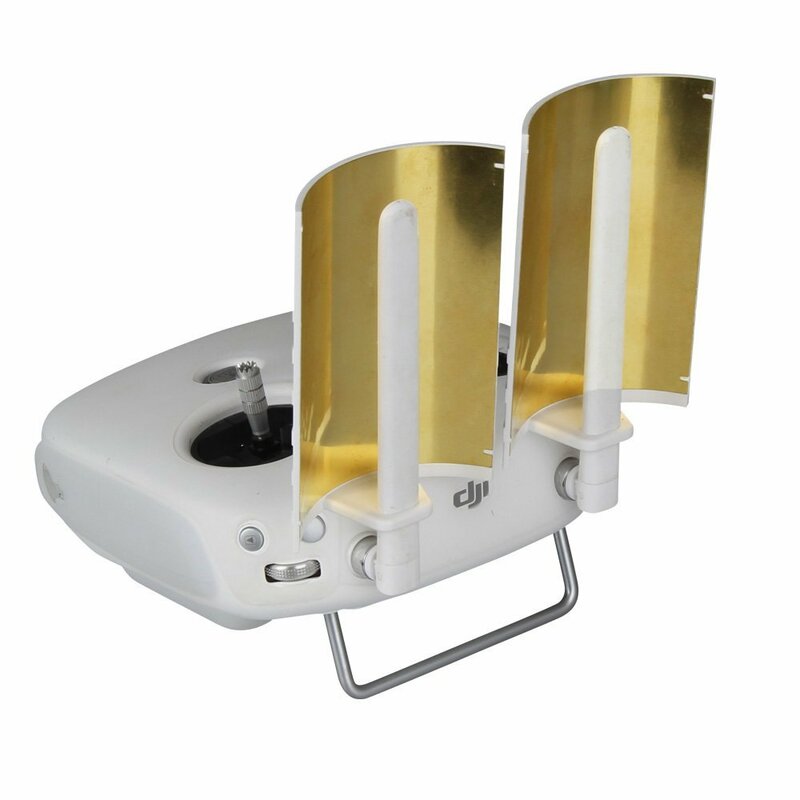 Similar to the above option, these parabolic antenna signal range boosters are built for the DJI Phantom 4/Phantom 3 Pro/Advanced/ Inspire 1 controller transmitter. The copper parabolic curved booster needs to be pointing towards the drone to reflect the remote signal to the antenna. Once attached this massively increases the signal range – I managed to gain an extra 900 feet using this booster. They are thin and seemed fragile when I first took them out of their box. However, after some usage, I can see these lasting me for some time so long as I am careful and look after them. Much like the product listed above, this is a great booster for those of you who are on a tight budget. 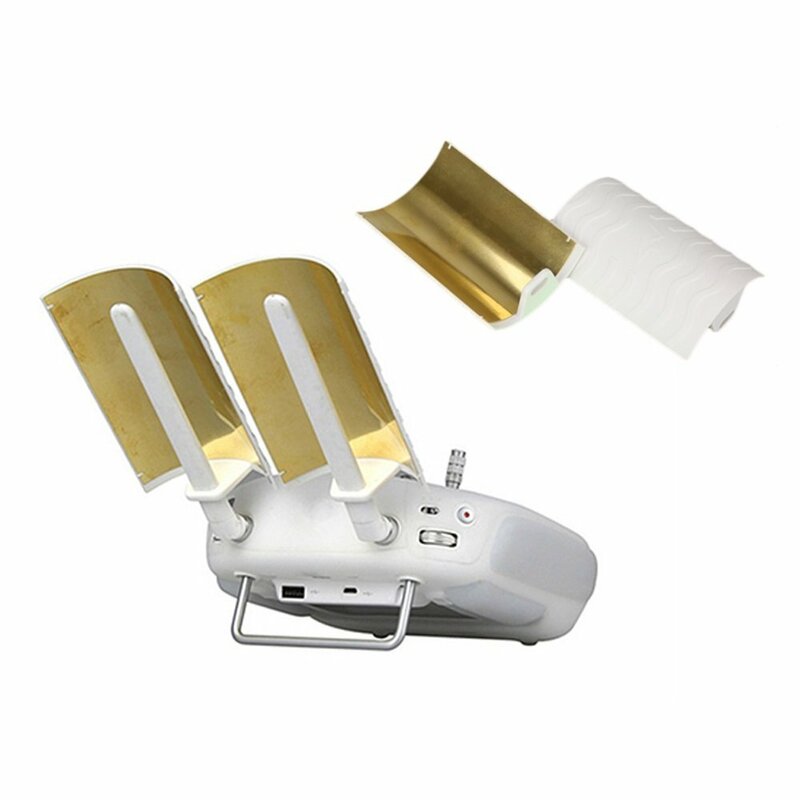 Overall, buying a good DJI Phantom signal range booster is always a good idea. It will allow you to do so much more with your drone for as little as $8. However, it is important to understand that you very much pay for what you get. The cheaper options listed on this page are less reliable than the more expensive ones; so if you are serious about your flying and you are not on a really tight budget, then the BlueProton DJI Phantom WiFi Signal Range Extender is what I highly recommend you buy. Many thanks for reading this review. Please share it below if you thought it was useful!